Going to college with your siblings can either make finding your "home away from home" a lot easier or a lot more complicated. Do you remember your first days at NYU? Frantically sifting through the lists of events and people, trying to find something that stuck. You wanted to be part of something less temporary and more familiar, so you tried to build friendships that would outlast Welcome Week. Though this first-year plight seems somewhat universal, for people who go to school with their twins and siblings, finding home away from home takes on a whole new meaning. 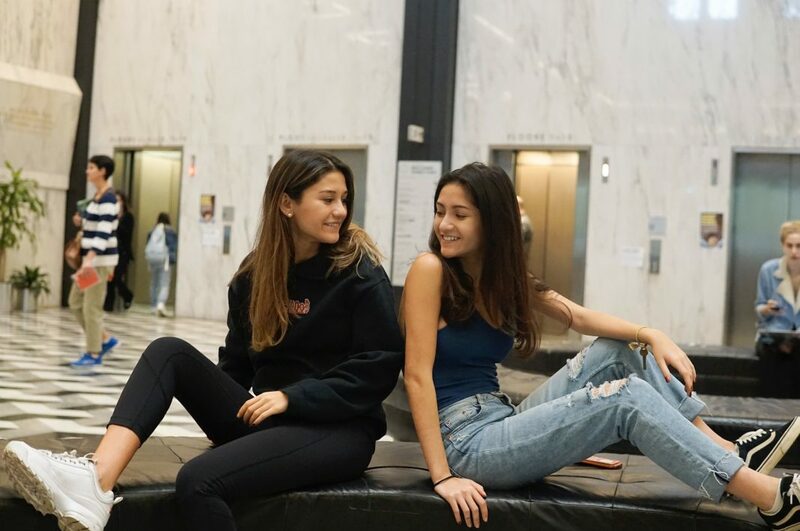 Angela’s twin, Emily Tsoumpas is also a first-year in Stern and similarly finds comfort in having her twin accompany her during the college experience. Though it’s relieving to have the emotional and social support, Angela and Emily explain that sharing NYU isn’t always fun. For Emily, the problem lies more with individuality and self-expression. You may have heard that some identical twins have a special connection between each other, like magical telepathy that allows them to feel each other’s emotions from afar. As surreal as it may sound, it actually happens, according to CAS first-year Rachel Bell. “A lot of people don’t even know we are siblings. We look absolutely nothing like each other. When I’m introducing him to people as my brother, a lot of people think I’m in a frat, and he is my frat brother,” Spector said, regarding his one-year-elder brother who is studying in Tisch. “We are in almost two very separate worlds. I’m really focused on science and he likes drama and stuff like that. But we still get along well,” Spector said. No matter how different or similar they look, siblings enjoy having someone that can bring the comfort of home just by the look of their face.